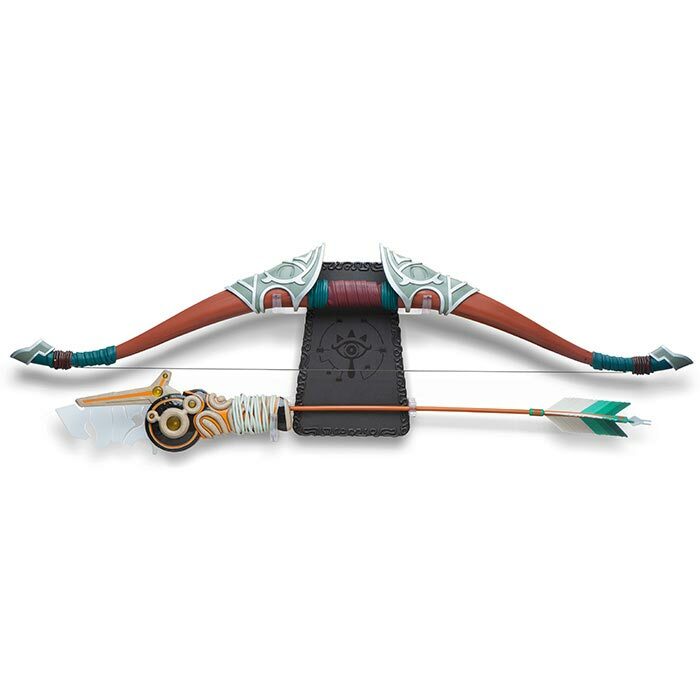 This The Legend of Zelda: Breath of the Wild Bow and Arrow Replica is no toy, rather it is a beautiful display piece for collectors or an authentic prop for cosplayers. 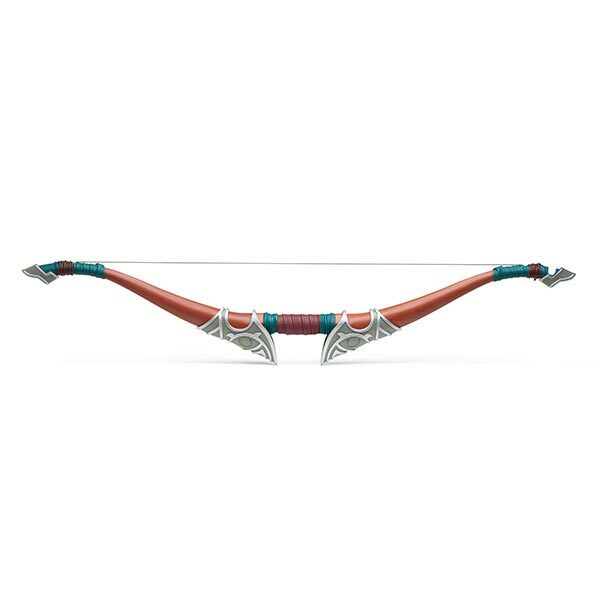 Although it is non-functional (you cannot draw the bowstring), this replica of Link’s Traveler’s Bow has nice details, such as the faux leather wrapping on the handle. 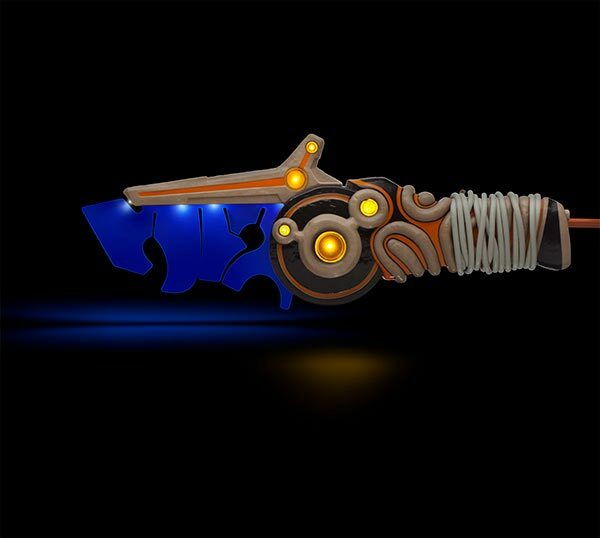 The Ancient Arrow is also detailed, and it even lights up. 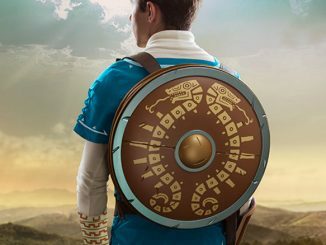 This Breath of the Wild Bow Replica is about 40″ tall. 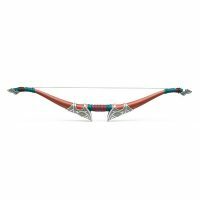 The Breath of the Ancient Arrow Replica is about 35.5″ long. 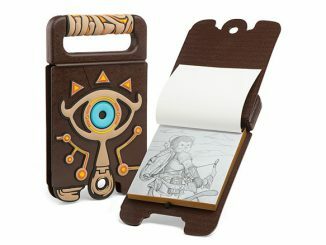 This set includes a wall mount featuring the Sheikah Eye with keyhole slots on back, which is about 8.75″ wide. 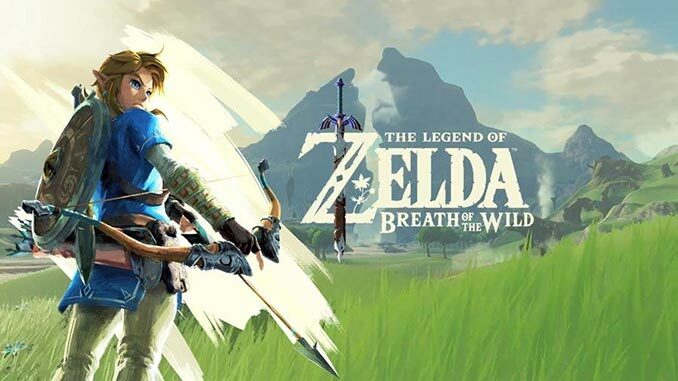 You can see how authentic this bow looks, by comparing it to the one in the following graphic for The Legend of Zelda: Breath of the Wild. 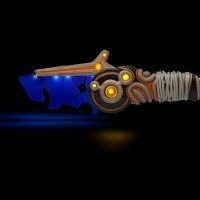 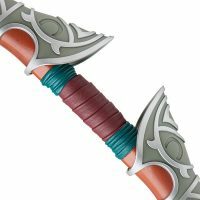 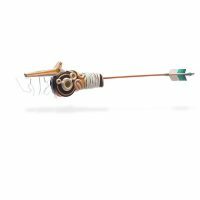 Let this Breath of the Wild Bow and Arrow protect you as you adventure and discover Link’s hidden memories when he awakens from his 100-year slumber in The Legend of Zelda: Breath of the Wild. 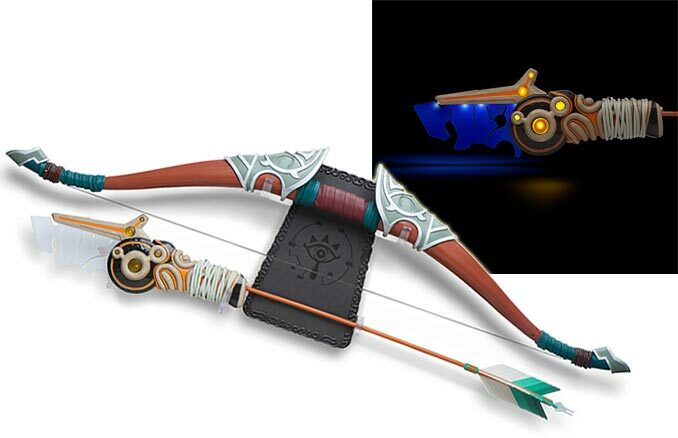 This Traveler’s Bow and Ancient Arrow, featured in the game’s promotional art, are beautiful as a display piece or great for cosplay, slung over a shoulder. 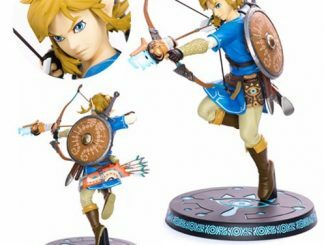 Note that the bow is not functional; you cannot draw the bowstring. 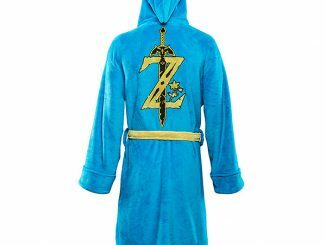 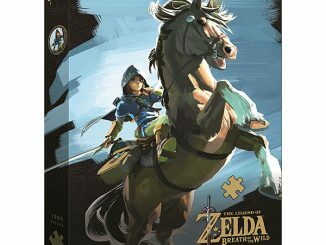 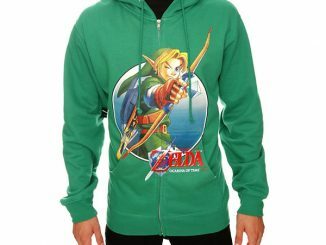 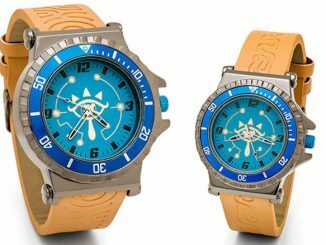 But the arrow does light up so you’ll look like you’re ready to take down any of the monsters terrorizing Hyrule. 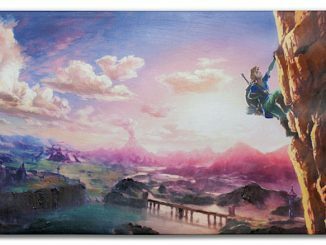 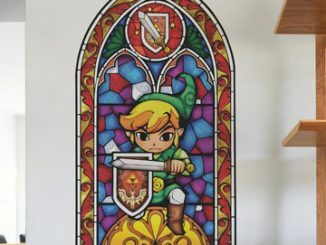 Atop a wall mount featuring the Sheikah Eye symbol, the bow and arrow make for an amazing collector’s piece that deserves a spot on any Zelda fan’s wall. 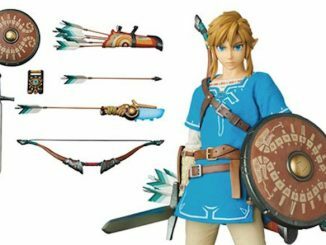 This Breath of the Wild Bow and Arrow Replica Set is available exclusively at ThinkGeek. 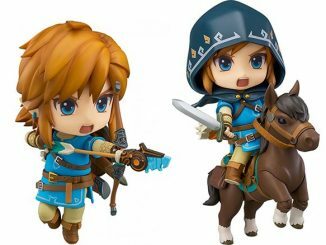 It is $79.99, and they are accepting pre-orders for an early July 2018 ship date.